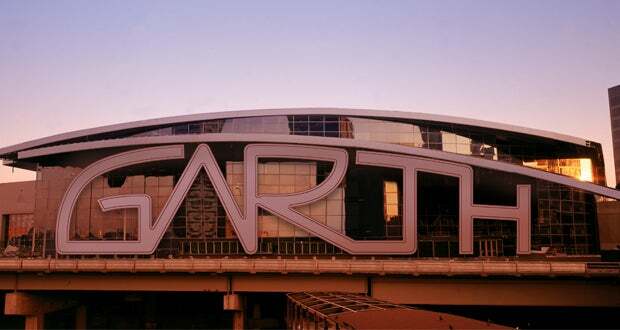 Garth Brooks announced today two additional performances on his World Tour at Philips Arena, bringing the total up to seven shows in Atlanta. Performing seven shows on one tour stop breaks Philips Arena’s previous record of three. “We are thrilled to have Garth Brooks perform seven shows here at Philips Arena and set this new record,” Trey Feazell, SVP & General Manager of Philips Arena. “This is a historical tour to be part of and we look forward to welcoming Garth to Atlanta." This is not the first record Garth Brooks has set in Atlanta. He set a record at the Omni in 1996 with five performances selling more than 81,900 tickets. The previous record was held by Elvis Presley with four shows. Tickets are on sale now via Philips Arena Box Office, www.ticketmaster.com, by phone at (800) 745-3000 or at Ticketmaster outlets.